It’s a welcome footnote, and antidote to these politically ugly times, that we get a compassionate youth novel turned big screen movie in the name of The Hate You Give and that it becomes a minor breakout hit and talking point on racism as seen as from the point of view of youth in racially mixed America. 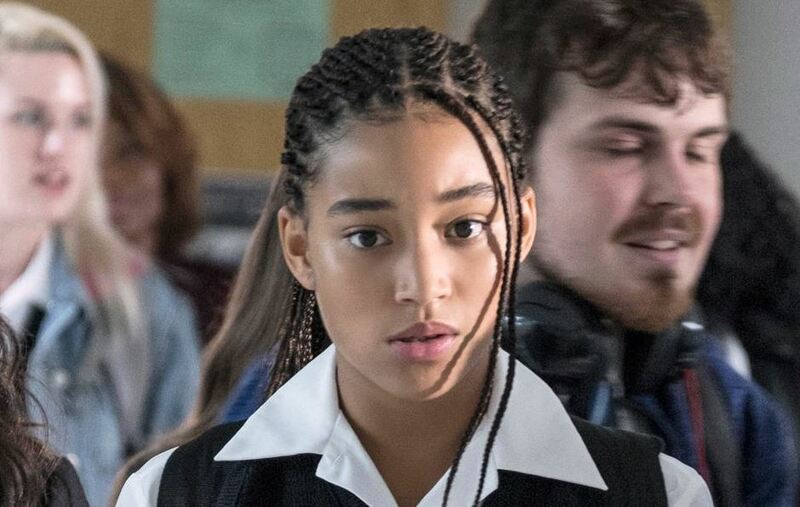 Twenty year old actress Amandla Stenberg should get an Oscar nomination if there’s any sensible people left in Hollywood. Stenberg plays teen Starr, who commutes from her black neighborhood of Garden Heights to a fancy white-dominated prep school in Williamson. She has a white boyfriend named Chris (K.J. Apa) and some racially insensitive girlfriends. What’s commendable about the screenplay is that even though racial friction will occur in their relationship, Chris is allowed to be a good guy through the very end. He’s not instilled with clichéd white boy jealousy. “The Hate You Give” pivots very early on something tragic. At a party attended by black teens, there’s a gun that goes off. Starr takes off with Khalil (Algee Smith), and it’s obvious they’ve had hormonal feelings for each other for a long time. They pull over to talk, he then pulls back onto the road only to get pulled over by a cop. Khalil disrespects the cop, but he’s not egregiously uncooperative either. While his drivers license is being checked out, Khalil grabs a hairbrush out of his car, which is mistaken by the cop as a gun, and the cop fires fatal shots into Khalil. Following that crime – and Khalil’s death is to us is in our hearts a crime although we hear “justifications” surrounding the cop’s actions – the fallout is that you sense the relentless boiling going on within Stenberg. She is expected to put up with the facade of her usual self publicly and when the incident is brought up she is expected to remain loyal to different interest groups. The drama of the movie is that Starr has to stay quiet during this tragedy even if she is indeed a convincing witness, because her parents (Russell Hornsby and Regina Hall) reason with her that if the media gets ahold of her as a source Starr’s life at the prep school will be turned upside down. Also, it could also trigger neighborhood consequences as well with the drug kingpin the late Khalil was connected to. The prep school takes the day off in the name of protest of Khalil’s death, but what really incites Starr is that her schoolmates only pretend to endorse Black Lives Matter and other rally cries, but really they just like the time off from the classroom. Everyone’s “caring” is superficial. Starr needs to speak out, but in what forum? What Starr needs to actually do is testify before a Grand Jury, and not let herself get pushed around while she volunteers for that (think about that one — she was a victim too while under threat by the cop who fired rounds but she is put in a position to defend her own livelihood). Meanwhile, Khalil’s death becomes a community rally cry, but Starr needs to join in but she also needs to obey her parents. When there is a peaceful protest that turns violent, the movie makes you understand a lot of that stems from the lack of police patience and police unwillingness to listen to and solve the problem. George Tillman is becoming an increasingly skilled director (his 2000 “Men of Honor” with Robert DeNiro and Cuba Gooding Jr. is one I have a fondness for too), and he comes up with a lot of pungent imagery in its more dramatic moments. He gives everybody here a complex characterization. Well almost. Anthony Mackie has been a terrific actor multiple times, and his turn here as the neighborhood drug kingpin is convincingly threatening, but it’s not three-dimensional. Ridding his entire subplot might have made a leaner movie that would have made “The Hate U Give” under a cut of two hours likely. As an audience member, there’s a lot to be passionate about with the film, but when there’s an overabundance, you come out passionate but just a little drained and a little distracted about what was so remarkable and politically heated. I’d say you’re more aware about police brutality against blacks and why it happens. 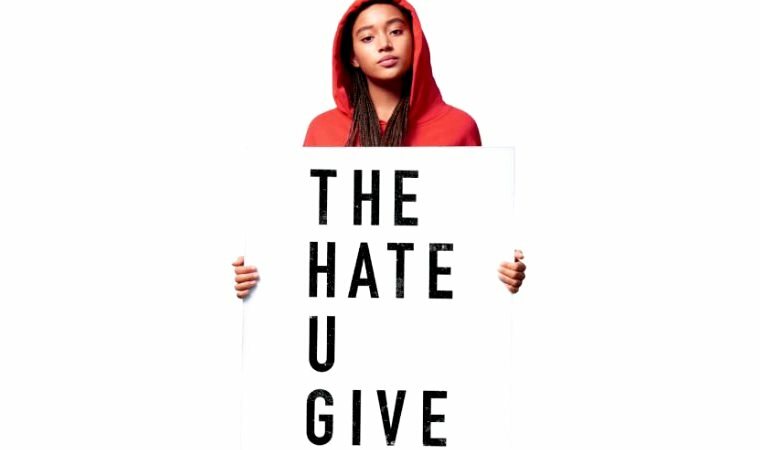 “The Hate U Give” is based on the Angie Thomas novel that has remained on the New York Times bestsellers list since its debut in February 2017. Film Cousins: “Do the Right Thing” (1989); “A Bronx Tale” (1993); “Fruitvale Station” (2013); “BlacKkKlansman” (2018).